We thought the LG G7 was a dead product and that LG had moved onto something new, possibly codenamed “Judy” that could arrive in June. 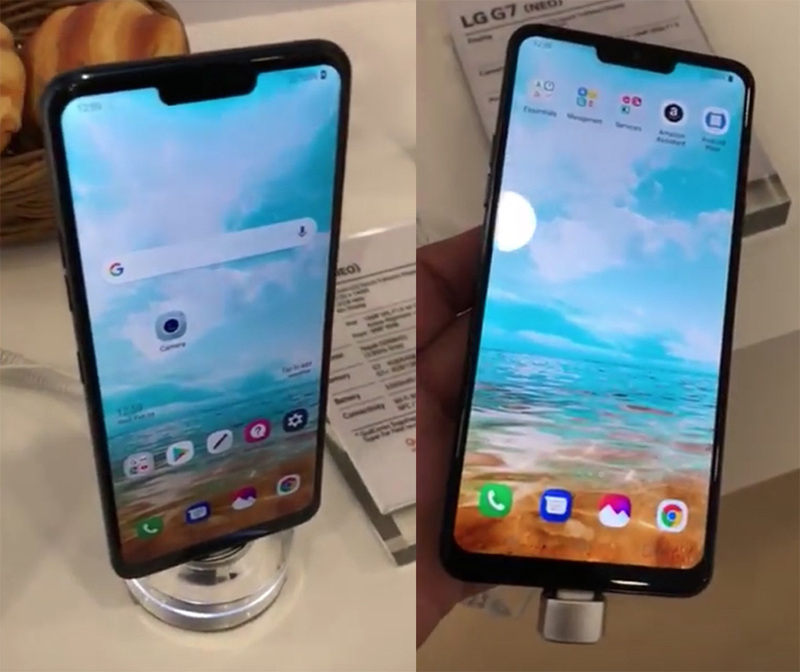 Then today, this random video popped up from Ynet News at MWC with a phone in it purported to be the LG G7. It’s confusing times right now in the world of LG! 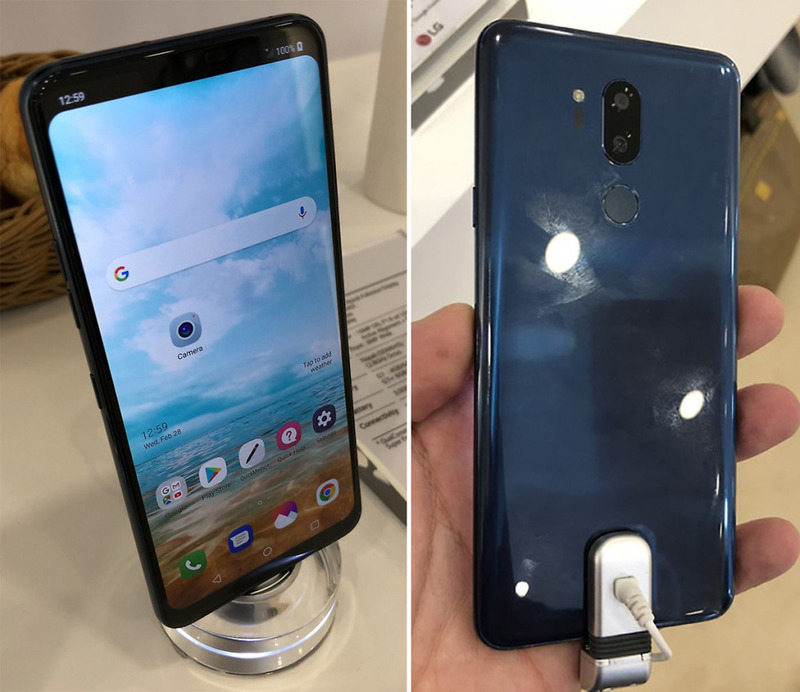 The brief hands-on with the phone shows a device next to an LG spec card on a table that refers the phone as the LG G7, with a codename of “Neo.” The specs suggest that the phone features a 6-inch OLED display with a resolution of 3120×1440 (19.5:9), 3000mAh battery, Snapdragon 845 processor, 64GB (G7) or 128GB (G7+) storage, 4GB (G7) or 6GB (G7+) RAM, rear fingerprint reader, dual rear 16MP cameras (standard + wide, both f/1.6), and an 8MP front camera. Speaking of that front camera, it’ll apparently be housed within an iPhone X-esque notch. Can’t see it above? That’s because LG appears to be allowing the phone’s software to hide it with a black bar. However, the hands-on video from Ynet shows how it’ll look when that black bar isn’t active. OK, wait, what does this all mean? Is the G7 coming? Is LG about to rip off the iPhone X, just like ASUS did? Umm, sure? @evleaks believes this may be the G7 that was scrapped in favor of the “Judy” phone that he has suggested is coming in June. He also was told that the G7 wasn’t the only product on display at this MWC event, and that there may have been a Q7, V35, and new watch there as well. I think the takeaway here is that LG was probably pretty close to launching the G7 until they decided to scrap it last minute, as was reported a handful of times around CES and that LG mostly confirmed. They held a private meeting at MWC to show off some products that they have or had in the pipeline and that’s where this G7 came from. 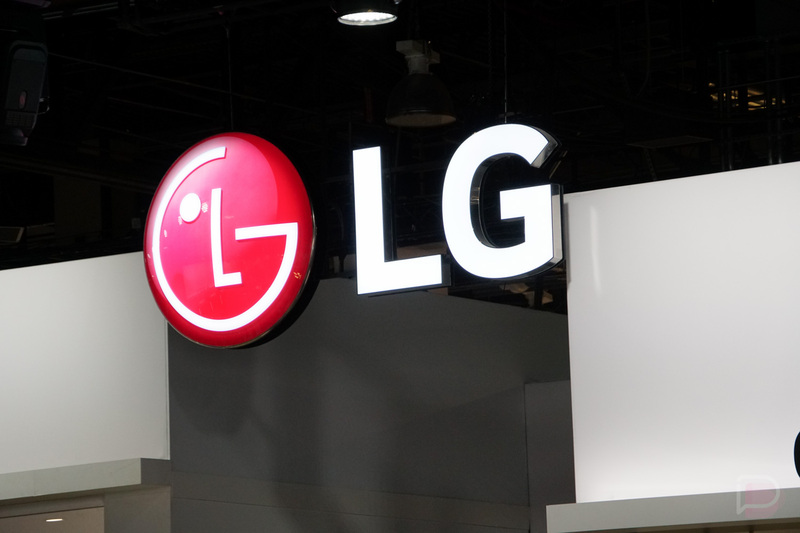 We still don’t know that this phone will ever arrive for purchase, but it could be that LG is giving investors or select customers a look at what their vision may be for the future. Unfortunately, that vision may include copying Apple.